I like this fat quarter bundle you are offering, and I really love the Raspberry Mixer FAT QUARTER BUNDLE FWFS Exclusive. The colors are so rich. The Miss Kate Jelly Roll is calling my name! Love it! I just have to , must have…….the Terra Australis FAT QUARTER BUNDLE Ella Blue. Oh my I want a super tote for me and a table runner for my friends new apartment. The teal tango fat quarter bundle is lovely! I “need” Teal Tango AND Witch Hazel fat quarter bundles. Fat quarter bundles are my favorite precuts! Thanks for the giveaway! I like their Pencil Smudge bundle! I like the Spa Day Bundle. I think I may have to buy the grunge FQ’s collection. I love that line. It’s plain, but not plain. I would like any charm pack. 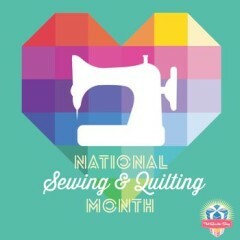 I am new to quilting and love the pre-cuts and have not used a charm pack. My first large quilt (working on now), the fabric is from Fort Worth Fabric Studio. They were so nice when I order and will use them again. I really like their 108 INCH WIDE QUILT BACKING Widescreen in Black by Robert Kaufman! Thanks for the great giveaway!!! Love this!!! You are awesome and so to is Fort Worth Fabric Studio for having this giveaway!! I checked their online shop and would love to get my hands on an All Suited Up FQ Bundle! Hi Paula, I just love their wide backings. I really like the bundle that you are giving away! Of course the other one that I like is Yellow & Gray Jackpot FAT QUARTER BUNDLE FWFS! I’ve seen some lovely things done with black, gray & yellow! Thanks for a great giveaway! Yellow and grey! I can’t remember the rest! Love the Metropolitan Medley, the aqua is amazing. The Candy Box bundle looks great as well. Thanks for the chance. I have been admiring the turquoise and red quilts since they became popular, but I have yet to purchase the fabric to make one. I must get on that. A yard of Flower Sugar 2014 Teal Medium Bouquet Lecien would get the ball rolling! I drool over the 30’s Playtime fabrics. Thanks to you and your sponsors. Fun!!! I have been itching to try American Made Solids, but I would also love some Kate & Birdie Bluebird Park (those hedgehogs!!!). Thanks for the chance to win! I love the Cherie by Art Gallery bundle and I also love their Friday bundle batches. It’s so fun to see what they put together. They are always so fabulous. 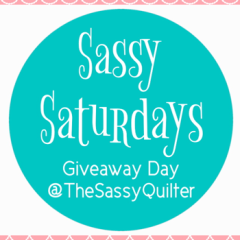 And how fun that you’re having a new sassy Saturday giveaway! Since the temperatures have dropped here, I think I would like the Halloween Tea Towel kit! Fall is in the air!! Thanks for the chance to win. Love those little red riding hood fabrics. Oh I need some Miss Kate fabrics! I’d do a pre-order for a Kate Spade layer cake of the Horizon line. I signed up for their newsletter. Thanks for the chance to win. I really want the Posies III Batiks by Artisan Batiks for Robert Kaufman Fabrics! beautiful! I am in love with FLIRT! Thanks for the chance to win! I love the 1930’s Baby’s Blanket FAT QUARTER BUNDLE!! Thanks for a chance to win some beautiful fabric! That’s a really nice bundle selection. 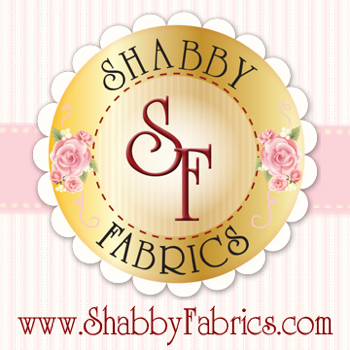 I already follow Forth Worth Fabric Studio & get their newsletter. Oh, I would love the Pencil Smidge FQ Bundle. I have big plans for grey. The girl Scotty fabric is adorable! Well I think it would have to be one of the 1930’s prints, hmmm Toybox, Playtime Blooms, OR one of the Aunt Grace miniatures. Well the decision would be hard but I’d love to win just so that I would have to make it. Thanks for the offer. I love the 108 wide backing with all the color names. Modern Script White/Black by Windham. I love Grunge and have just the thing for the fq collection. I would love to have at least one Raspberry Mixer FAT QUARTER BUNDLE in my stash. I love the Friday bundles! Tranquil is a very pretty one. I do love this one in the giveaway! So beautiful!! I follow Fort Worth with bloglovin and get their newsletter via email. Thanks! I love everything, but The Apples and Oranges bundle is really calling my name. Ooh thank you. I just love that Sausalito cottage by Lakehouse. Perfect for some gifts I have in mind. 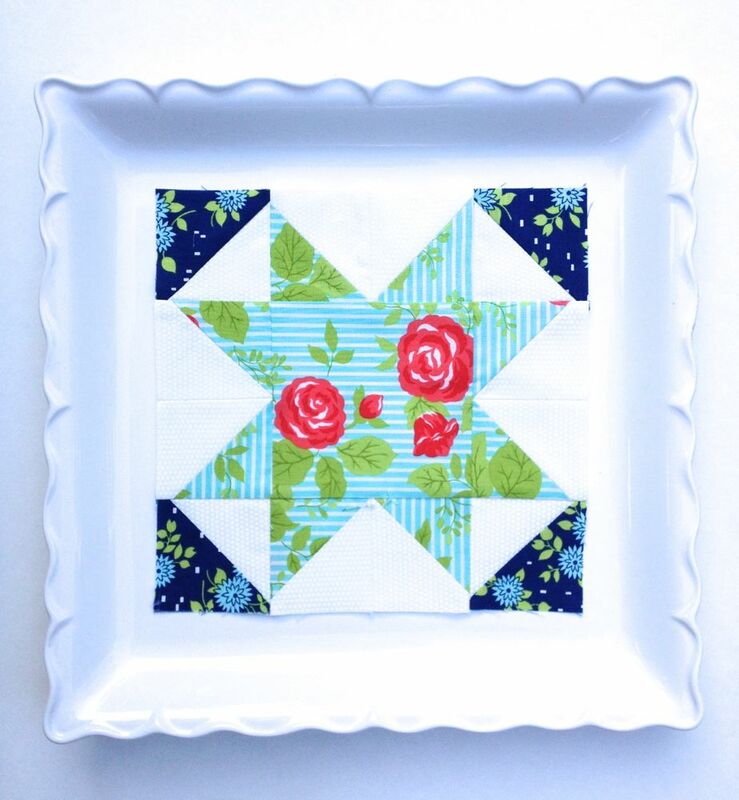 I like the Blue Skies & Sunshine FAT QUARTER BUNDLE FWFS Exclusive. 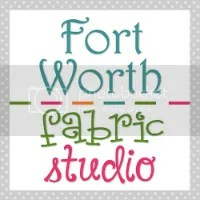 I Already follow Fort Worth Fabric Studio. I would love the Scotty Dog Classic bundle. So cute! I am in love with Miss Kate and the raspberry bundle. So hard to choose. I love Fort Worth Fabrics. I love their Friday bundles and Tranquil has so many great prints… I follow Fort Worth Fabric Studio’s blog and love all their great tutorials! I think Geodes half yard Batavian Batik Bundle is lovely. Thanks for the chance to win. I have to have this Metropolitan Medley bundle! I have been ‘collecting’ aqua/teal fabrics to make a quilt for my niece. This bundle is great and would play very nicely in her special quilt. For myself, I have to have the Northcott Daffodil fabric. I live in a county that was once known as the Daffodil Capital of the United States. In early spring we can drive on any road and see the gorgeous remnants of old daffodil fields turning their sunny faces toward the sky. I NEED a daffodil table cloth. I have to have the Riley Blake chevron backing material that is on sale. I bought enough to back a baby quilt for my great grand son due the first of the year. I love the new Miss Kate line. That fat quarter bundle would be my pick! Thanks!! I’m a Libra, so decisions aren’t easy for me to make… you know those scales need to stay balanced! I love all the bundles, but guess the best one would be the 30s Playtime FAT QUARTER BUNDLE by Moda – because I really like 1930 reproduction fabric. Thank you for the opportunity to win such a great giveaway. I really do like the “Baby’s Blanket” fat quarter bundle. I love 1930s Repro fabrics! Wonderful giveaway! Thanks for the chance to win! Fun Giveaway! My must have would be one of the Michael Miller Ta Dot bundles. I don’t know if I could pick a color though! Blue and gray maybe… And I love their pocket pack bundles. They may not fit in my pocket but they definitely fit in my budget! The TEAL TANGO FQ bundle is right up my alley. Thanks for the opportunity to win! I would love to have the Yellow & Gray Jackpot FAT QUARTER BUNDLE FWFS Exclusive. Or the giveaway bundle — it’s gorgeous too! Love FWFS. Thanks for the chance to win and for making it easy to enter! I love the raspberry mixer fat quarter set. Great tones. Oh, it’s beautiful! I looove Somerset, too- that’s a line I’d love to have! I’m really into teal these days, I like the Teal Tango! I am waiting for Horizon by Kate Spain. I love the flirt line by dear stella. I also love their Tranquil bundle exclusive to them. They have given great service when I bought from them. I love this bundle a lot, Metropolitan Medley, but I also love the Friday bundles that are offered. Can’t wait for the next one to show up in my blog feed. I can’t pick just one! I need the yellow/gray jackpot FQ pack, Gone Cointry FQ bundle, any jelly roll, all FQ bundles. So many beautiful things. I want to make the Halloween towels in Witch Hazel …love the kit they have! 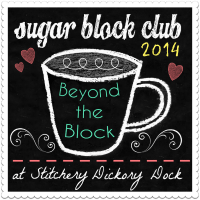 Oh, I really like the Flower Sugar 2014 fat quarter bundle! Such fun colors! The Friday FQ bundle this week is gorgeous aquas and greys! Love the colors in this giveaway. I’ve really had my eye on Bonnie & Camille’s “Miss Kate” fat quarters. Fabrics are so addicting!! Raspberry mixer please. Love those poppy colors. That Mimosa bundle is calling to me! Thanks for the chance at this great giveaway. Teal Tango caught my eye. Thnx for this fun opportunity with the great sponsor support! Love the Henry Glass I Love Puppies fabrics. Thanks for the giveaway. I love their Yellow & Gray Jackpot Bundle! aurifil thread collection-kit – somerset ! Really nice colors! I have put the We’ll Always Have Paris fat quarter bundle on my wish list. Don’t know yet what I will do with it, but I must have it. I need to make a girly baby quilt so all the pink bundles are screaming “pick me”, but I really love the Scottie Dog Girl bundle that FW has. I like Dear Stella Flirt…especially the floral prints. actually, I found some great batiks on sale and grabbed them…always find fun fabrics at FWFS! To be honest I’d like to get some Shape Flex – hard to find! The Penny Lane Hope Chest is very pretty! and according to another blog post I just read FW should have it in stock! The Teal Tango bundle is a must have. Beautiful colors. 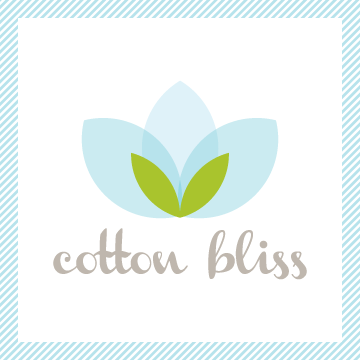 I follow Fort Worth Studios with Feedly and probably Pintrest too! My favourite bundle is the Zinnia Blast Jackpot. What I believe I must have with Christmas coming before we can blink is the Snow Day collection from Wilmington. I can’t decide whether I like the Scenic or Snow Kids best! I love the bundle you’re offering in the giveaway a lot. But, the one I really would love from their site is the CAROUSEL PINK Fat Quarter Bundle. Our 2 yr old Granddaughter lives in our home along with her parents right now and that child is OBSESSED with pink. SO obsessed that the other day I had a fat quarter bundle that arrived and it was purple and teal fabrics but she kept pointing and picking it up saying PINK pink PIIIIIIIIIIINNNNNNKKKKK. I’ve been working with her learning her colors so I was totally confused. Then it hit me. That bundle had a pink sticker on the center of the package from the shop I purchased the fabrics from. She was so excited about the pink sticker with that shops name on it. LOL So, that CAROUSEL PINK Fat Quarter Bundle is the perfect one for her to have a little quilt made from it. And I just ordered a yard of bright pink chevron cuddle today that would be perfect for the backing too. Hmmm can I really afford to buy something more? darn. spent so much this week. Anyway, I am already subscribed to Fort Worth Studios newsletter and also to your blog via Bloglovin’ and via email notification as well. Thank you for the great giveaway. I look forward to Saturday now and stopping by to see what fun things you might have. I love the blues in the Metropolitan Medley Bundle! I also just have to have the Teal Tango bundle. 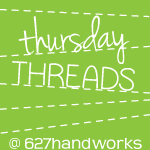 Thanks for hosting this great giveaway, and thanks to Fort Worth Fabric Studio! I love Fort Worth Studio, and especially their Friday specials :) I love, love, love their Tranquil, also their Raspberry Mixer, the Candy box looks so yummy, but I think I have to go with the pink/purple Ta Dot collection, I have too many granddaughters that would be thrilled to get a quilt made out of that. Thanks for the opportunity. I like the Miss Kate Moda Jelly Roll. Thanks! My favorites are the low volume prints. I love FWFS! I love getting their emails to see what the Friday Bundle Batch will be. I always, always am drawn to their Red/Aqua bundle. One of these days, I am going to buy it! She has wonderful bundles. Today I love the TRANQUIL fat quarter bundle. In 10 min I will choose a different one. I have to have Robert Kaufman’s Uptown – Taxis and Buildings are both ADORABLE! There’s a new grandchild on the way so the Baby ‘s Blanket FQ Bundle would be put to good use! Thanks for a chance to win! I would like to get some Mormor Coral Flowers by Windham. I have been eyeing the Horizon fat eighth bundle. Thanks for the giveaway. I LOVE the Rustique half-yard bundle. Deep colors and nice mix of texture/prints/shapes. Love the deer silhouette! I love the Yellow and Gray Jackpot Bundle! Thanks for the chance to win. I also followed them on Facebook. FWFS has lots of wonderful bundles…I would pick the Snowbird Batiks FQ Bundle if I could choose anything! I really like the fat quarter bundle you have as a giveaway! From the website though, the Teal Tango bundle is adorable! The Michael Miller Full Pinhead FQ Bundle caught my eye; it is fabulous! I love Gray Matters by Camelot Cottons. I just have to have the Blue China FQ Bundle. Those blue prints are perfect for a new quilt i am planning. FQ bundle Scottie Dog Classics would make baby quilt for soon-to-be great niece/nephew. Show the family heritage on both sides. Love the website and the Pencil Smudge FQ’s are delicious. I love their bundles – Today the Blue China FQ bundle is what I am loving! thank you! I love the MM Blue/Gray Ta Dot FQ bundle – but I’d rather have half yards! so much to chooses from but I think I would go for the Christmas fabric as I do not have any at all. So many choices it’s hard to settle on one, but I’d probably go for the 30s Playtime FAT QUARTER BUNDLE by Moda. I love bundle batch and I ordered few of them. Forthworth Fabric studio has very good services. I have to have the Fun With Frosty quilt kit. It is so cute. Thanks! I love the Pencil Smudge bundle! All those greys are so nice! I might need the Cherie bundle! I love Horizon by Kate Spain. I am in love with Horizon by Kate Spain and Miss Kate by Bonnie and Camille. Great choices! I’m waiting on those Moda layer cakes of Horizon! I have to say for me the whole set of grunge fq would be awesome! but I also so the frozen fabric and my great niece loves loves loves those. The Witch Hazel fat quarter bundle has caught my eye. Thanks! I love the teal tango bundle! Posies BATIKS are my favorite. The selection of wide quilt backings is tremendous – love ’em all! I want so many things, but I really love the apples and oranges FQ bundle, it is fallish without being dark. I think it would be the Blue Skies and Sunshine Fat Quarter Bundle. But, I do also love the Metropolitan Medley bundle that you showed to us. Thanks for the chance. I think the Michael Miller Pinhead fat quarter bundle would be an essential for me to fill in my stash of “solids & neutrals”. Never been to Fort Worth studio. Love their bundles, esp strawberry margarita because I need red in my stash. I am really into aqua and grays right now so I really love this bundle you are featuring, but I also like the pinhead bundle-it would go with so much!! i love the artisan spirit shimmer bundle in peacock. Teal Tango. I just love it. Thanks for the chance. I just have to have the Miss Kate FAT QUARTER BUNDLE. I wish!!! I would love to have the FQ Grunge bundle. Along with a few others. The FQ Grunge Bundle would be my first choice if I could afford it. I love the tranquil bundle. So hard to choose – – 30’s Playtime, Miss Kate and of course Metropolitan Medley. I have purchased some precuts from FWFS in the past and was quite pleased at how fast I got my order. I look at all the bundles they have and it is so hard to choose what I like the best. I do like the Metropolitan Medley for the give-away. It’s a beautiful blend with the aqua, gray and green. Hmmm going to have to think of something to make with this blend. I would get the Witch Hazel bundle! HELLO, I’ D CHOOSE THE Michael Miller Pinhead fat quarter bundle! I’m adding the NouvElle Fat Quarter bundle to my wish list! I love the Miss Kate jelly roll, charms etc. That fabric just makes me sing! Nice and bright! Besides winning this beautiful Bundle!… I would looove to have the “BLUE SKIES & SUNSHINE” fat quarter bundle too. Definitely named perfectly! :) LOVE it! Wasn’t sure if you could contact me with other one? Oops! thanks…. Baby’s Blanket Fat Quarter Bundle please!! I’m going to be a grandma in January! I would really like some Flirt. Thanks! AMB solids! Thanks for the chance! I love the Cherie FQ bundle. Thanks for a great giveaway! I need the INSUL-BRIGHT Package. I love that Teal Tango bundle! 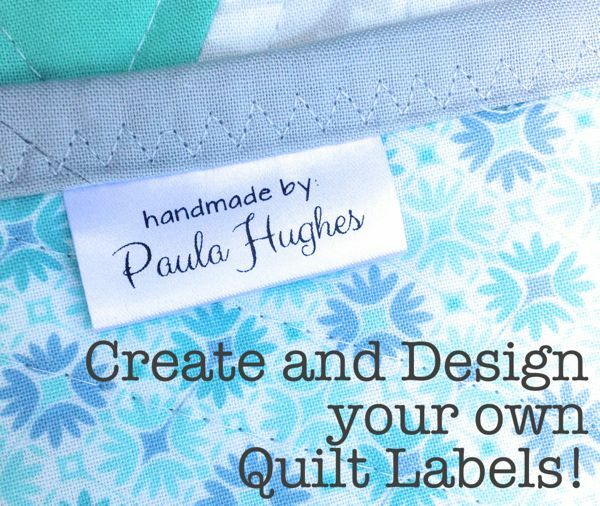 I have to have that Aqua/Red FQ Bundle – love these colours together! 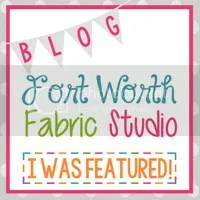 Thanks to you and Fort Worth Fabric Studio for the chance to win! I’ve been wanting some Miss Kate fabric:) Thanks for the chance to win some!! I went to fwfs to have a look and one of the first things I came across was the Scottie dog classic fq bundle. I didn’t look ant further as I have loved scottie dogs since I was a little girl and now have a collection of them, although not a real one. Would love some the Disney Frozen fabrics to make donation quilts. Kids (and by kids I might mean “me”) just love that movie. I would love the “Tranquil” Bundle Batch! Such a perfect blue! Thanks for the chance to win! I like the Miss Kate FQ Bundle. Thank you for this opportunity. Spa Day half yard bundle!!! It would be perfect for a project that I have planned. Beautiful!! Thanks for the giveaway. The Miss Kate layer cake is what I would like. Thanks for the giveaway. I love pretty patterns! All I need are the instructions for my new sewing machine!!! I am completely boggled by it!! I would go with ALL SUITED UP, a 20 piece fat quarter bundle! Thx! I really want the We’ll Always Have Paris bundle to make a quilt for my sister. I would LOVE to get my hands on the Michael Miller Pinhead FQ bundle! I love FWFS! Right now the candy box bundle is my favorite. 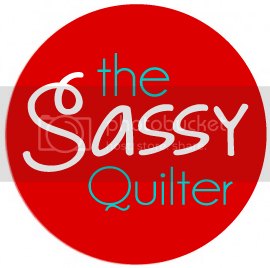 I like the name – sassy Saturdays! I’m not feeling super creative right now, but basics are always good so I’ll go with 108 INCH WIDE QUILT BACKING Widescreen Grey Robert Kaufman. I really want the Somerset fat quarters! Thanks for the great giveaway! I love Muslin Mates Tiny Vines on White Moda. I always could use more white on white. I love the Yellow and Gray Bundle. I’m trying to go brighter with my fabric choices. I have to have a Miss Kate FQ bundle! I’m lovi’ the Snowbird Batiks today, tomorrow it might be something different..lol!! i love the Be Jolly ! !and Frozen!! I love many of the bundles they have – Teal Tango, Holiday Flourish by Kauffman, Snowbird Batiks, and the one you have here are just a few. I love batiks and will be looking forward to Geodes HALF YARD BUNDLE Batavian BATIKS – yummy colors! I love the Snowbird Batiks Fat Quarter bundle. I absolutely LOVE, have to have, the Scottie Dog CLASSIC FAT QUARTER BUNDLE FWFS Exclusive. Friends of ours have had Scotties over the years, and I have grown to love them. They have the prettiest silhouettes. I love the Scottie Dog Gil collection, but think the Classis is much more versatile. So loving those colors! Just starting to quilt and need some stash! I’d love some Miss Kate. i would love to have: Michael Miller Full Collection PINHEAD FAT QUARTER BUNDLE! Looked into the contest site. LOVED the Holiday House prints. Even batiks with snowflakes. Very creative!! Hope I can win the lovely collection you displayed. Already have some with this color scheme that I can add to!! Thanks for the opportunity! I would love to have some Moda Here Boy fabrics, they are really cute little doggies! I enjoy your blog. Thanks for giving us the opportunity to win such beautiful fabrics. I love the bundle in the giveaway. Perfect colors for my son and daughter-in-laws new house. Then the Raspberry Mixer bundle would be great for granddaughter’s room. So much beautiful fabric and too little time!! What a great selection of wide quilt backings. I really like Mimosa. Thanks! Love this bundle! Found put I couldn’t live without the Friday bundle batch Tranquil! Love the Zinnia Blast Jackpot Fat Quarter bundle. Thanks for the chance.